We make available, high-quality White Bread, Brown Bread, Milk and other dairy products, which are 100% fresh and free from contamination. These products are widely appreciated for their great taste. 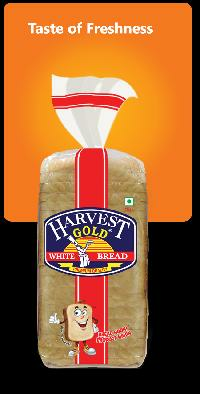 We make available White Bread which is enriched with the goodness of Vitamins, and Carbohydrates. Also, the slices of breads have the low-fat content and are well moisturized. The White Bread, which we deliver, is enriched with the goodness of fiber. The other nutrients present are protein, fat, and cholesterol. The white bread has a superb combination of sauces. The buyers can avail the White Bread at market leading prices. We offer delicious White Bread, which is prepared by skilled professionals using high-quality ingredients like milk, flour, water, yeast, etc. Our White Bread is soft textured which makes it apt for making sandwiches. Our White Bread is appreciated for having a low fat content, which makes it very beneficial for the health. The bread is made under hygienic conditions which eliminates the chances of contamination. We make available White Bread which differs in their textures and sizes. The bread commonly contains permitted additives to enhance their flavor and taste. Due to the soft texture, bread is used as an ingredient for preparing dishes such sandwiches, etc. The White Bread, which we deliver, is manufactured using high-grade corn flour. Slices of bread have an optimal moisture content and fluffy texture. The buyers can avail the bulk quantity of the bread at market leading prices. The White Bread, which we deliver, is acclaimed for its extremely soft and tender texture. Raw materials like yeast, flour, etc. in optimal quantity are used for its manufacturing. A single slice of bread contains almost 90 calories. white slice bread is the successful combination of traditional fresh breads with goodness and purity of wheat. The finest range of healthy breads with taste of freshness in every slice that will make your every day morning a more refreshing day to begin with. The White Bread we supply is made by experienced cooks, who make sure that the bread has a perfect texture, moisture content and taste. Our White Bread has a great taste and is 100% fresh. Our White Bread is known for its fresh, and mouthwatering taste. Made of fresh ingredients, White Bread is healthy to eat. The crispy taste of White Bread can be relished with a cup of tea. 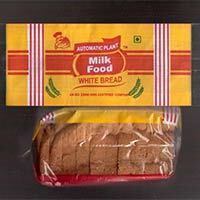 Our valued customers can avail White Bread in different quantity packaging as per their requirement. 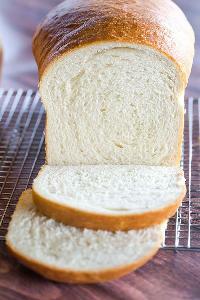 Our White Bread is renowned for its soft texture and has the perfect moisture content of 35-40%. 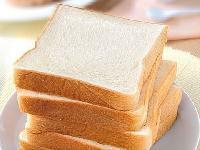 The White Bread is supplied using top-class packaging which offers it protection from dirt and other impurities. The White Bread we bake is available in different loaf sizes and are known for their soft and fluffy texture. The production of our White Bread is done under hygienic conditions using fresh ingredients. The White Bread we supply is reckoned for its delicious taste and texture, as the ingredients used for making it are 100% fresh and of high quality. We supply our bread in air-tight packaging, which offers protection from dirt and moisture. The White Bread, delivered by us, is made using fresh products with the help of the latest technologies. 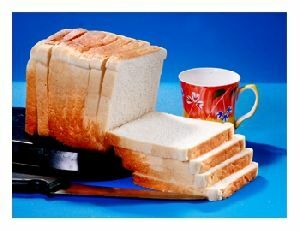 Our White Bread offers a great taste and is available in different load sizes too. Our White Bread is prepared under hygienic conditions using the latest technologies. For supplying, we use high-quality packaging, as it keeps it protected from moisture, dirt, dust, and many other impurities. The idea of White Bread sprang from the old world - a time when sweeping fields of wheat covered the land and the aroma of brick-oven bakeries filled the air. 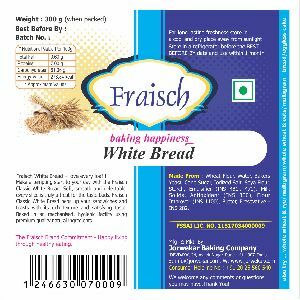 Never before has there been bread that has successfully combined the traditional taste of fresh white bread with the goodness of wheat. The Fresh White Breads, supplied by us, are known for their soft & fluffy texture, as the ingredients used for making it are of high quality. These Fresh White Breads are supplied in airtight packaging, which protects them from dirt and moisture. The white bread, which we supply, is a good source of carbohydrates. The soft and fluffy texture of the white bread makes it enjoyable with various types of spreads and sauces. The White Bread, which we supply, is acclaimed for its taste and texture. 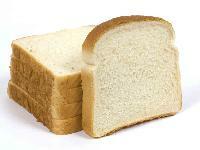 Every slice of White Bread has nearly 90 calories and 75-80% of carbohydrates. The buyers can avail the bulk quantities at market discounted prices. Palekar Food Products Pvt. Ltd.
We make available, high-quality White Bread, is beneficial for health as it has a low fat content. Our White Bread is free from contamination as its preparation is done under hygienic conditions. The preparation of our White Bread takes place in hygienic conditions under the supervision of our experts. These professionals make sure that the ingredients percentage (%) is accurate. Our bread has the perfect amount of moisture i.e. 35-40%. The White Bread, which we supply, is high in carbohydrates. Each slice of bread provides almost 66-80 Calories and is easy to digest. 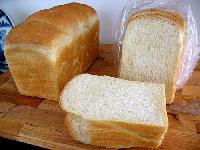 The buyers can avail the bulk quantities of the White Bread at discounted market prices. The White Bread, delivered by us, is prepared under hygienic conditions under our expert’s supervision. These professionals make sure that the ingredients percentage (%) is accurate and the bread has the perfect amount of moisture i.e. 35-40%. We supply White Bread in standard quality packaging, which protects it from dirt, moisture and many other impurities. 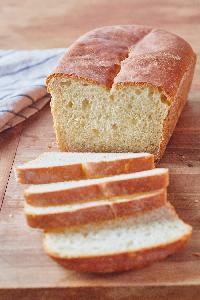 Our White Bread has a great taste and has a very tender & soft texture. The White Bread, which we deliver, are acclaimed for their texture and nutritional content. The neutral taste of the Bread makes it enjoyable with sauces, butter, jam, etc. The White Bread can be availed from us at discounted market prices. Our White Bread is known for its perfect texture & taste and all the ingredients used for making it are 100% fresh and of high quality. We supply our bread in air-tight packaging, which protects it from dirt and moisture. The White Bread, which we supply, is acclaimed for its soft and fluffy texture. Each slice of bread accounts for 90 calories and high amount of carbohydrates. The buyers can avail the bulk quantities at market leading prices. We prepare our White Bread under hygienic conditions and in different sizes. Our White Bread is made from fresh ingredients like milk, water, flour, etc. which make it soft texture and fluffy. We make available, high-quality White Bread, which has a soft & fluffy texture and is made from premium-quality ingredients. The taste of the White Bread is very delicious and it is available in different loaf sizes.